With the holiday season here, life’s everyday pace is speeding up with preparations galore for personal and business activities and events. Everyone is involved at some level in planning get togethers to bring cheer and good wishes to all those around. It’s the time of year where people express their love and generosity to others whether family, friends or through business ties and community based events. It’s a perfect time of year for giving to those less fortunate and to charities needing your support. If you, your business or community are planning an event this holiday season, please consider adding a charitable option for those attending and even those unable to attend. It may be a cause that is near or dear to yourself or something relevant in your community that would benefit from the generosity of others. It’s easy to let attendees know ahead of the event any details of what you would like to raise money for and why. Event attendees not only like to be given the opportunity, but like the ease of giving to something close to home. Let attendees know that their donation whether large or small has the potential to make a big difference in someone’s life. Eventastic is an innovative platform enabling event organizers to create their online event invite with registration abilities and quickly create and share customizable tickets on their website or any social feeds. Ticketing is just one small part of what we offer our clients in making every event a success. As one of the features, Eventastic gives the event organizer the option of adding a donation button on their event invitation allowing those attending and even those who are unable to attend, to contribute to a cause of the organizers choice. Simply indicate your intention of adding a donation box to your invite by clicking the donation feature. Upload a logo or relevant picture for your cause with a short description. People viewing the invite can then donate using Visa, Mastercard or PayPal and choose to do so anonymously if they so desire. 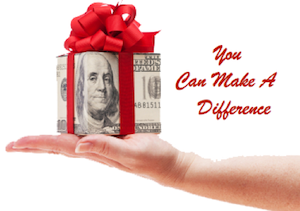 Eventastic has made it simple for you to help others through your parties and events whether for personal, business or community purposes this holiday season. Click Start Now to begin making a difference.